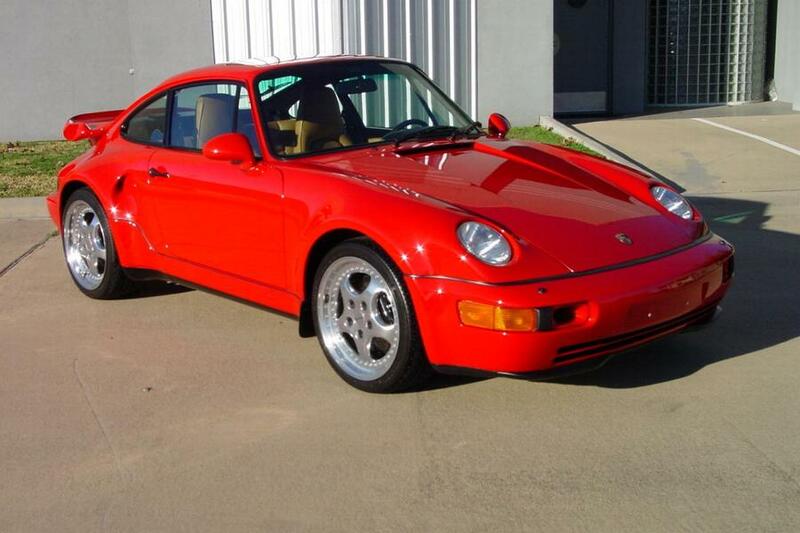 For its final production year, the 964 Turbo 3.6L was available to order with an X88 ‘Turbo S’ upgrade. This upgrade included the fitting of a more powerful M64/50S engine, coupled with the fitting of a flat-nosed design of the front end. 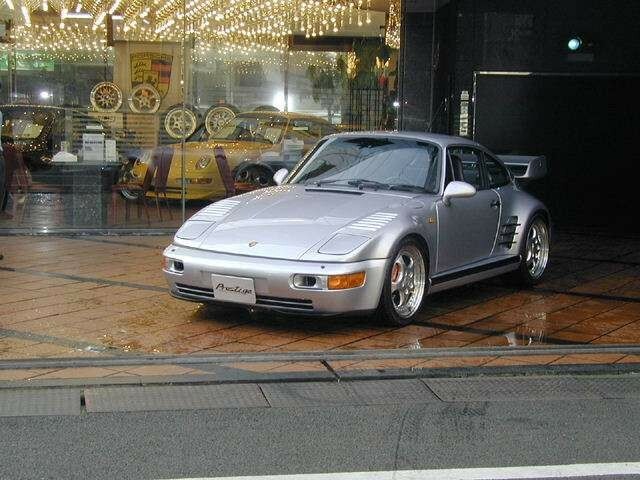 The X88 package costed around 180,000DM at the time - practically doubling the MSRP of the Turbo 3.6L - and was executed in 3 different forms across markets: the Japan-only 930-style ‘flatnose’, the US and Rest of World (ROW) 968-style ‘flatnose’ and the US and ROW ‘flatnose’ delete X88 cars. The M64/50S engine was a factory derivative of the 1993 IMSA 3.6L Turbo engine built by Andial for the Brumos racing team. It delivered a 25hp power increase over the M64/50 engine mainly thanks to modified cylinder heads, upgraded camshafts and the fitting of a larger turbocharger. This made boost available at lower rpm and hence increased engine efficiency. 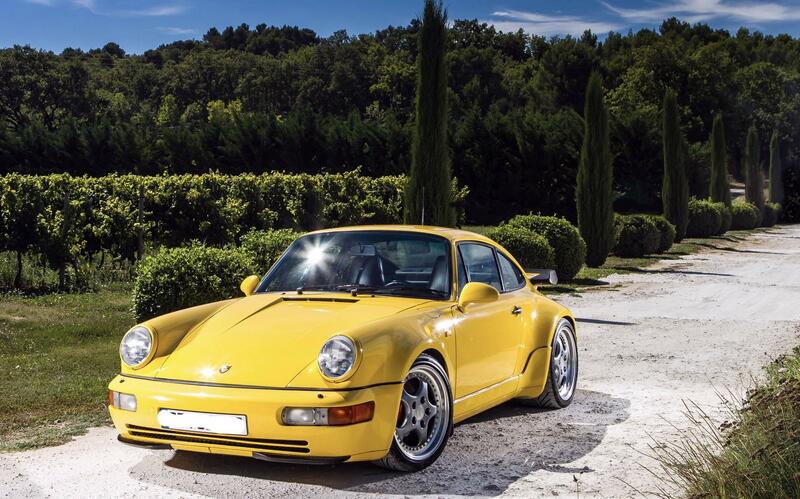 A total of 155 engines were built of which 93 went into the Turbo S cars, 51 into the standard Turbo 3.6L X88. The remaining engines are unaccounted for. The X83 was developed exclusively for the Japanese market and features a 930-styled ‘flatnose’ front, with hooded pop-up headlights. 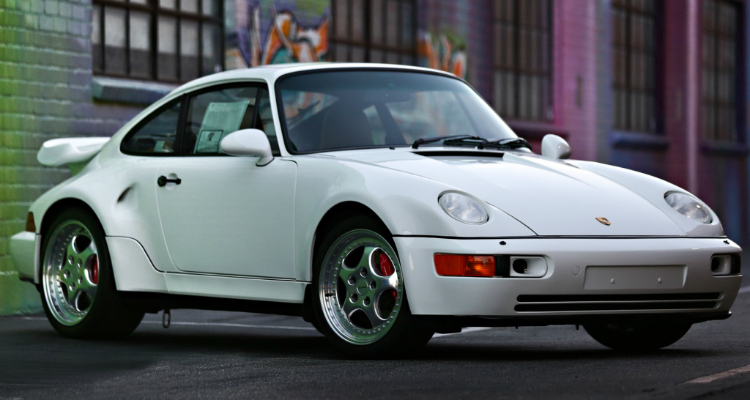 All 10 cars were identical in build specifications, which included left hand drive spec (an Asian collector’s must-have for European cars), no backseats, Recaro buckets and a Polar Silver Metallic finish. 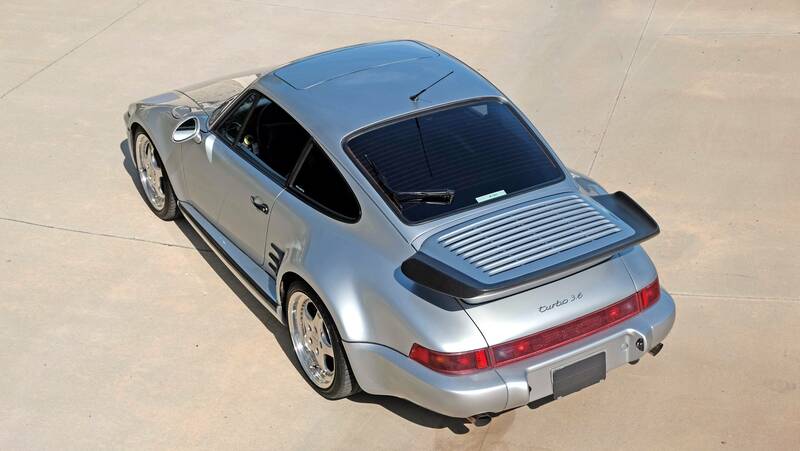 The cars came with the Turbo 3.6L whale tail spoiler as standard, however 4 cars were fitted with the Carrera RS 3.8L rear spoiler. echArt at the time. Some X84 cars were fitted with the optional Carrera RS 3.8L air inlets without fog lights. A total of 27 cars were built (12 right hand drive) with the first batch featuring the standard ‘Turbo 3.6L’ badge instead of the ‘Turbo S’ model designation. 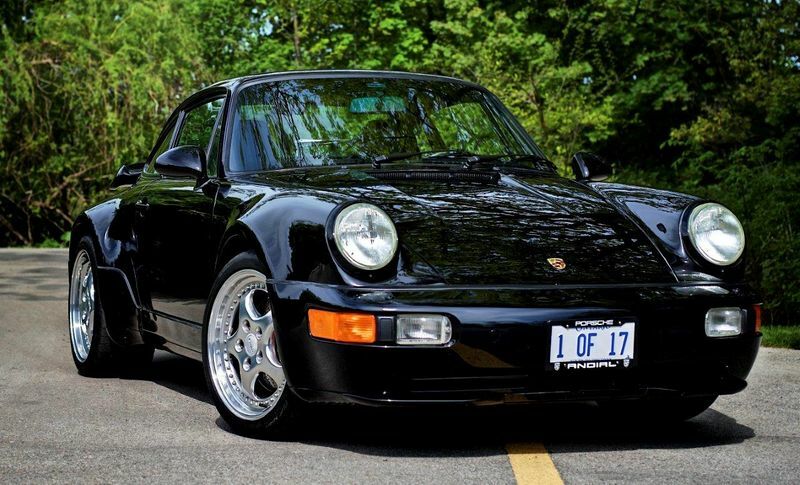 Six X84 cars are estimated to be in the Sultan of Brunei’s 30-large collection of 964 Turbo 3.6L X88 cars. No other market received more ‘flatnose’ commissioned cars than the US. 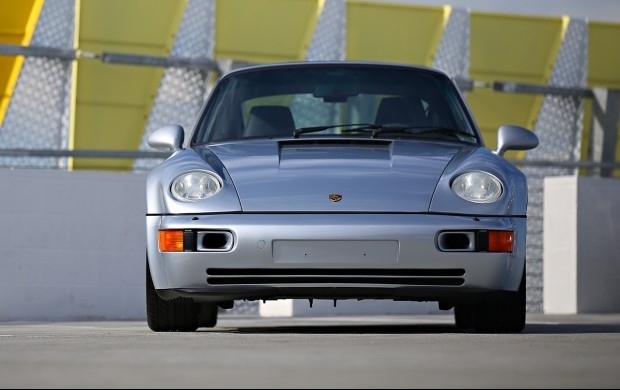 This model also featured the 968-styled front similar to the X84 but was featured with the Carrera RS 3.8L front air inlets and ‘Turbo S’ script as standard. The only way to distinguish the US cars from their ROW counterparts is through the black plastic dots on the former’s front bumper. The upgraded X88 engine was a standard feature of the ‘flatnose’ option on the Turbo 3.6L price list, however customers could also opt for the engine upgrade without touching the car’s front end design. A total of 51 cars were officially built (13 right hand drive) to this X88 specification for the ROW market. These cars are not officially Turbo S cars and have the ‘Turbo 3.6L’ badge as standard. 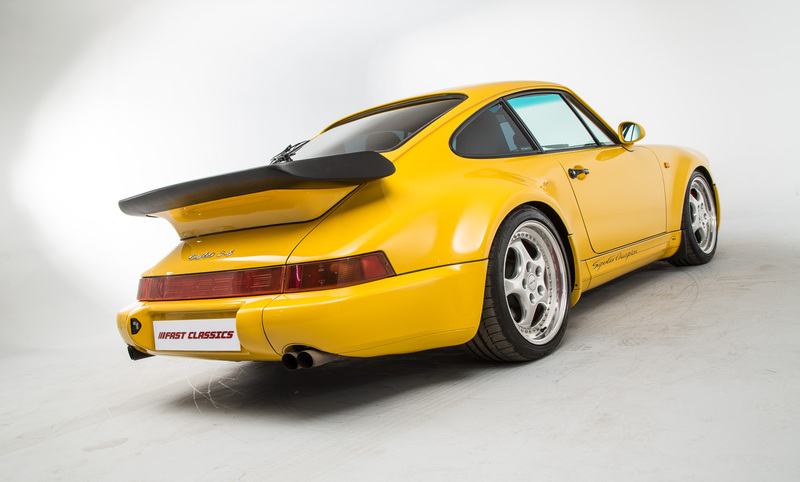 They also do not have the four-piped exhaust of the Turbo S. Nine of these straight-nosed X88 cars are estimated to be in the Sultan of Brunei’s 30-large collection of 964 Turbo 3.6L X88 cars. The principle of this car is identical to its ROW counterpart: it is a Turbo S model ordered without the ‘flatnose’ X85 option. 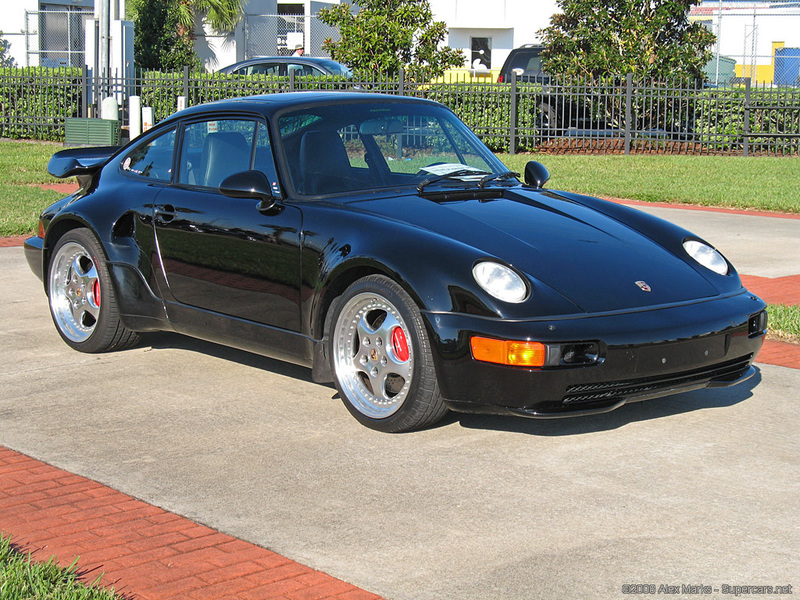 The Package car takes visible design cues from the 964 3.3L Turbo S, which is how it can be distinguished from it’s ROW counterpart: Porsche Exclusive front spoilers, air inlets for engine cooling in the side panels and a fully-painted Porsche Exclusive rear spoiler. Interested to discover more about the X88 cars? Then we highly recommend navigating to Flachbau where they have the most comprehensive database of these really special cars.